As many readers will no doubt be aware, summary judgment is a decision rendered by the court without recourse to a full trial. Generally only limited documentary evidence may be considered, and there is no opportunity for discovery or for oral evidence and questioning of witnesses. 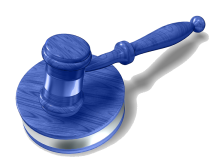 Typically, summary judgment is appropriate only when there are no significant questions of fact requiring determination, and the outcome of a full trial is essentially a foregone conclusion. In the Australian Federal Court, the provisions for giving summary judgment are to be found in section 31A of the Federal Court of Australia Act 1976. They require that the party against which judgment is sought should have ‘no reasonable prospect’ of success in a full trial (subsections 31A(1) and (2)), although it is not necessary that the case be ‘hopeless’ or ‘bound to fail’. [m]ore complex cases are unlikely to be capable of being resolved by summary judgment without discovery and oral evidence. Where an application requires consideration of apparently complex questions of fact, the questions are unlikely to be capable of being resolved without conducting a mini trial on the documents without discovery and without oral evidence. Subsection 40(2) of the Patents Act 1990 requires, inter alia, that a complete specification must ‘describe the invention fully, including the best method known to the applicant of performing the invention’. Establishing a failure of a patentee to describe the best method known at the time of filing is likely, in many cases, to be difficult, not least because (as stated at paragraph  of the decision) ‘it must be established that there was a better method known to the applicant as at the date of filing of the patent than the one described in the specification’, which is ‘clearly a subjective question’. the patentee must have known that the method was better than the method(s) described in the specification. the requirement to describe the invention fully must take into account the fact that that description is directed to the person of ordinary skill in the art. … the word “describe” … does not import a requirement to describe details which would be well-known and understood by the skilled addressee. For example, there is no requirement to include in the specification details of well-known analytical agents, commonly used methods, well-known terms of art, or a description of machinery in standard use. the patentee is required to give the best available information as to how to carry out the invention that is defined in the claims – that is, there is no requirement to provide disclosure of the best method of performing matters that are not made the subject of one or more specific claims. Expo-Net Danmark A/S (‘Expo-Net’) is the patentee of Australian patent nos. 2006226731 (a standard patent) and 20070100339 (a certified innovation patent). Expo-Net contends that Buono-Net Australia Pty Ltd (‘Buono-Net’) infringes the patents, whereas Buono-Net alleges that the patents are invalid on various grounds, including failure to disclose the best method of performing the invention. Buono-Net sought summary judgment on the single issue of whether or not the best method is disclosed, on the basis that if the patents fail on this ground then they are wholly invalid, and it would be unnecessary to proceed to trial on the infringement and additional invalidity issues. The patents claim methods and apparatus for ‘producing structural elements of a contact filter block.’ The basic idea of the invention is to provide improvements to the structural elements of the contact filter blocks for improving the properties of those blocks. Buono-Net contended that the failure to identify the specific foaming agent employed in the described embodiment invalidated the patent on the basis that it does not describe the best method of performing the invention. Expo-Net, for its part, characterised the invention as residing in the idea that a beneficial rough (porous) surface and a contact filter can be achieved by using foaming agent as a part of an extrusion process whereby granular material and foaming additives are used in the one operation as defined in the claim, and not to the use of any specific foaming agent. According to Expo-Net, the specification provides all of the information required for the skilled person to identify the most suitable foaming agent in any given case on the basis of their common general knowledge. There is evidence in the proceedings that the skilled reader of the specification, whose common general knowledge is relevant in an assessment of necessary disclosure of the method of performing the invention, finds the invention obvious and says that it is a matter of routine to achieve the result claimed. Mr Klinkby’s evidence relates to an early period in the experimentation leading to the invention. Importantly, the claimed invention involves an interaction of integers and routine adjustment of variables to obtain a workable result from the use of foaming agent. Mr Klinkby’s evidence was of experiments in which all of those variables, other than the use of foaming agent, were fixed. This may or may not affect the working of the foaming agent in a practical performance of the invention. Therefore, the application for summary judgment was dismissed. Buono-Net presumably considered that the question of whether the best method was disclosed might be appropriate for summary judgment in this case on the basis that it could be determined on the face of the specification itself, without evidence of the state-of-mind of the inventors and applicant at the time of filing of the application. In principle, if the specification shows that the applicant was in possession of a working embodiment of the claimed invention, but fails to disclose full details of all elements of that embodiment, then it is arguable that there is a failure to describe fully the best method (or, indeed, any method) known at the time of filing. However, in a patent case, even a seemingly straightforward matter is likely to require discovery and oral evidence. What a specification appears to disclose to the court, on its face, is not the pertinent issue. What matters is what the relevant skilled person would understand from reading the specification in light of the common general knowledge in the art. This is clearly a substantive question of fact, on which the court is likely to require expert testimony in order to be fully-informed. Summary judgment is rare in patent disputes, and this case is an illustration of just why this is so.